When’s the next total solar eclipse for North America? On August 21, 2017, millions across the U.S. witnessed an awe-inspiring total solar eclipse. When will we see the next one? Image via Fred Espenak at the NASA Eclipse Web Site. Check out the map above. It shows all the total solar eclipses occurring in North America from 2001-2050, and it comes to us via eclipse master Fred Espenak. 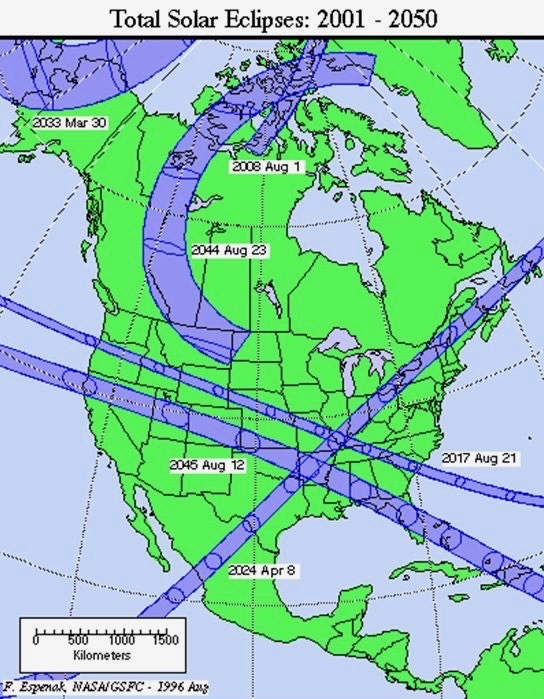 You can see that – after the August 21, 2017 eclipse – the next total eclipse for North America will come on April 8, 2024. That makes it seem as if eclipses are rare, when, in fact, they’re not. They happen about every 18 months as seen from somewhere in the world. However, for any given spot on Earth’s surface, total solar eclipses don’t happen very often. In addition to total eclipses, there are other sorts of eclipses. 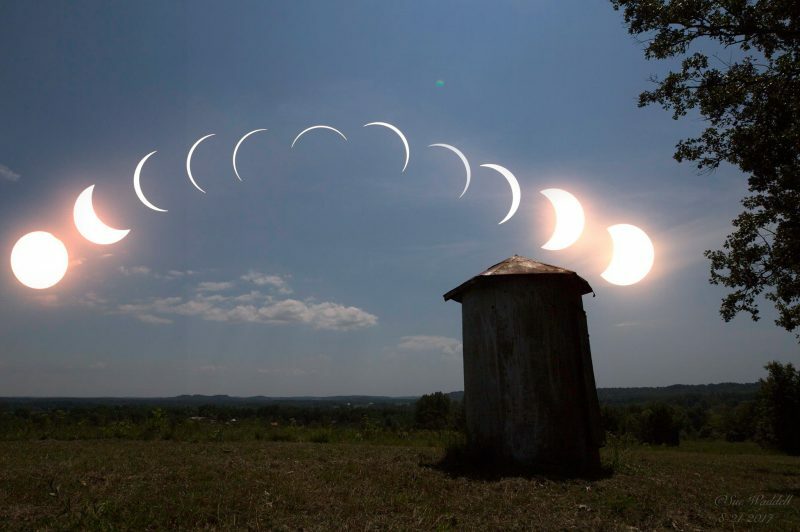 Partial and annular, or ring, solar eclipses also take place, as do eclipses of the moon. Some of them almost certainly will be visible from your location in the next few years. Look here for a complete list of solar eclipses between the years 2011-2030. Read more: Are lunar eclipses more common than solar eclipses? View larger. | Path of all total (blue) and annular (yellow) eclipses through the continental USA from 2001 through 2050. Image courtesy of Fred Espenak at Astropixels.com. Sue Waddell contributed this eclipse composite from Eastview, Kentucky, on August 21, 2017, where there was a 98.3 percent eclipse. See more photos of the August 21 eclipse. Bottom line: After the August 21, 2017, eclipse, the next total solar eclipse visible from North America will be April 8, 2024.